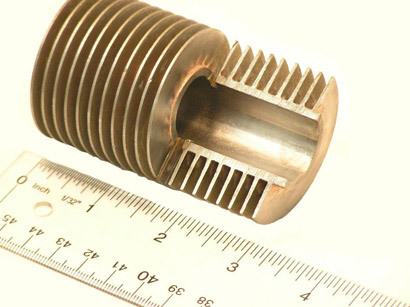 The brazed finned tubing service from Fin Tube Products, Inc. creates a metallurgical bond between the tube and fin, making it the most suitable bond for higher temperature applications. FINBRAZE® bonding between the tube and the fin ensures a stress-free, uniform, and non-porous contact. This bonding allows for thinner tube walls compared to a welded fin to tube joint. The FINBRAZE® process is done in house with our Controlled Atmospheric Brazing Furnace. There are numerous advantages to the FINBRAZE® production of finned tubing. The use of dissimilar metals which cannot be welded such as copper fins on stainless steel tube. The use of thinner (less expensive) tube walls that are not available when welded. The finned tubes can be formed over the fins after brazing. Brazing is performed at a uniform temperature eliminating stress at the joint areas. The use of our in house Controlled Atmospheric Brazing Furnace allows for complete control over the production of your tubes. No Arcing. Eliminating the "Hot Spots" at the tube to fin joints as may occur in welded finned tube. 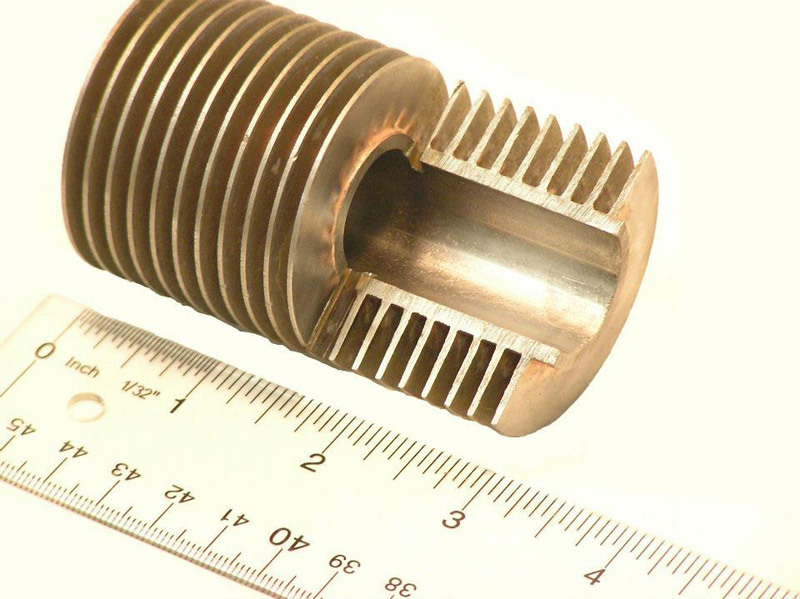 Our FINBRAZE® tubing can be seen in heat exchangers across many industries including Aerospace, Automotive, Medical, Petro-Chemical, Cryogenic, and Electrical to name a few.